energy efficiency and renewable energy projects. The Stevens Point Municipal Airport is home to a new SolarWall® solar air heating system on a community airport hangar in Wisconsin. The new hangar is designed to accommodate eight single-engine planes, with space in the hangar available for rent by pilots. 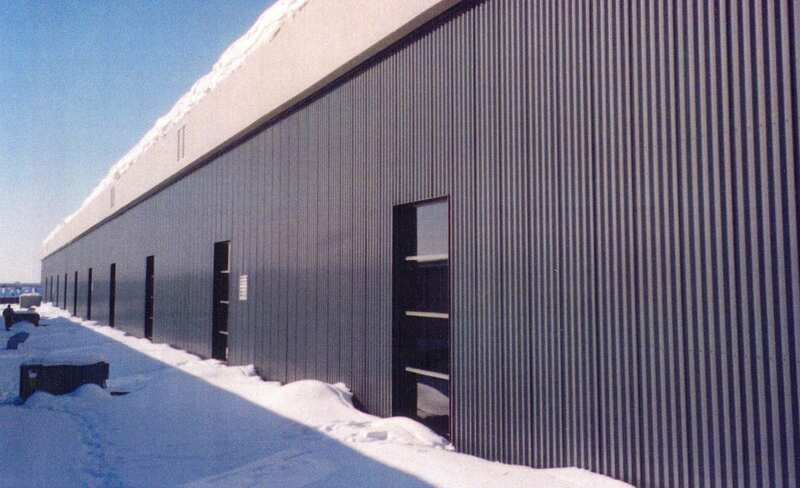 Like any hangar building, ensuring adequate indoor ventilation is a key consideration. As well, Joe Wheeler, the airport manager at Stevens Point, wanted to guarantee that the ongoing energy costs were lower than a traditional hangar. This lead to the consideration of several sustainability options, and the SolarWall® air heating technology was an easy fit. 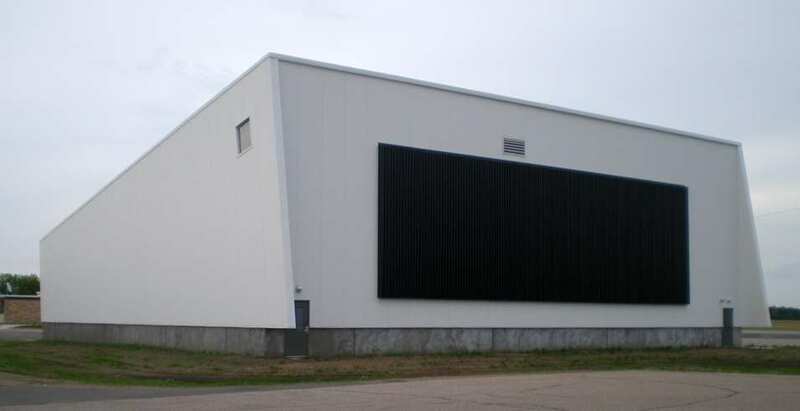 Conserval Systems worked with our Wisconsin representative (Sunny Solutions LLC) to design a SolarWall® system for the solar-rich, south facing wall of the hangar. The SolarWall® system spans 1300ft2 (120m2 ) of collector area. The addition of this black solar system on the white wall creates a visual contrast, and succeeds in drawing attention to the fact that it is a “solar heating wall”.